Refined Back Bay Elegance! Premier Location! Impeccably Maintained Floor through 2 Bedroom, 2 full Bath with Parking! 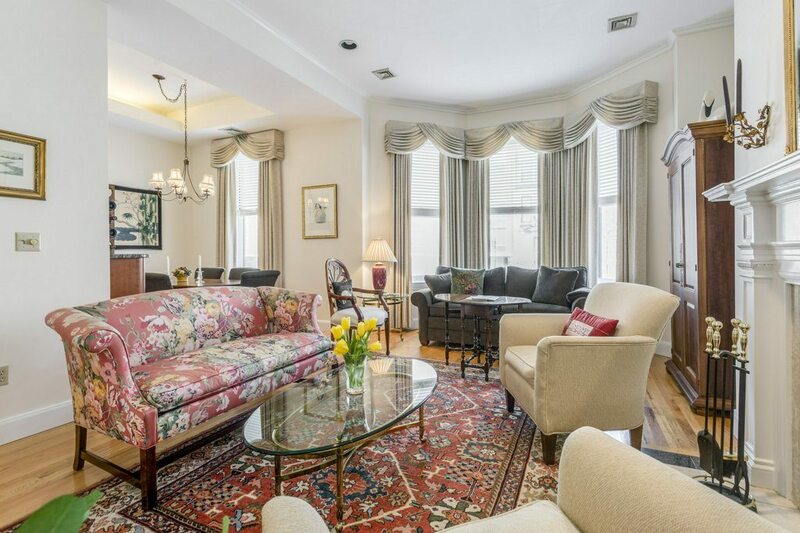 Located on the second floor overlooking the magnificent architecture of historic Beacon Street! Life will be so easy in this luxurious Elevator Building with pristine common areas! Lovely Entrance foyer with double door entry! Sweeping Open Floor plan! Towering 11.5ft Ceiling Height! Dramatic & Spacious front facing Formal Livingroom with Bay Windows and striking ornamental fireplace! The Formal Diningroom has a coffered ceiling with soft ambient lighting for intimate dining & entertaining! Gourmet Chef’s Kitchen with Granite counter tops, generous Custom cabinetry, SubZero refrigerator and Granite Serving Bar! Glistening Hardwood Floors are Everywhere! Master Bedroom features a stately ornamental fireplace, ensuite bathroom with double sinks, soaking tub and large walk-in closet! Oversized 2nd bedroom! Guest Full Bath and laundry in unit. A Picture Perfect Home! Click Here to view the Virtual Floorplan and more Photos!